The first-place Blackhawks will kick the week off in St. Louis on Wednesday, but it will be their two weekend games at home that serve as the priciest games in the NHL this week. They'll take on the Capitals on Friday, where Blackhawks tickets at United Center currently average $275 and the cheapest tickets are listed from $110. The Capitals begin the week at 8-2-1 and third-place honors in the Metropolitan division. Two days later, the Blackhawks host the Canadiens in what will be the second most expensive game of the week. With the Habs skating to a league-best 10-1-1 record over their first 12 games, their winning ways are setting a big price premium on the resale market for their stop in the Windy City. Tickets against the Canadiens now own a resale average of $266 and the cheapest available start from $97 each. The defending Stanley Cup champion Penguins return to the PPL Center on Saturday to host the Maple Leafs. As the third highest-priced game of the week, Penguins tickets against the Maple Leafs are averaging $265 and the cheapest tickets are listed from $80 each. The Penguins sit in second place behind the Rangers in the Metro division while the Maple Leafs have held their own in the Atlantic at 5-4-3 on the season. The day prior to their trip to Pittsburgh, the Leafs will be at home to play the Flyers. Maple Leafs tickets at Air Canada Centre now own a secondary market average of $238 and the get-in price is now $72. The Flyers find themselves in the middle of the Metro as they enter the week, sitting at 6-6-1 on the season. The Rangers made swift work of the Jets on Sunday, beating Winnipeg 5-2 to cement their 10th win of the season. They'll remain at Madison Square Garden to host the Canucks on Tuesday in what will be the fifth most expensive NHL game this week. 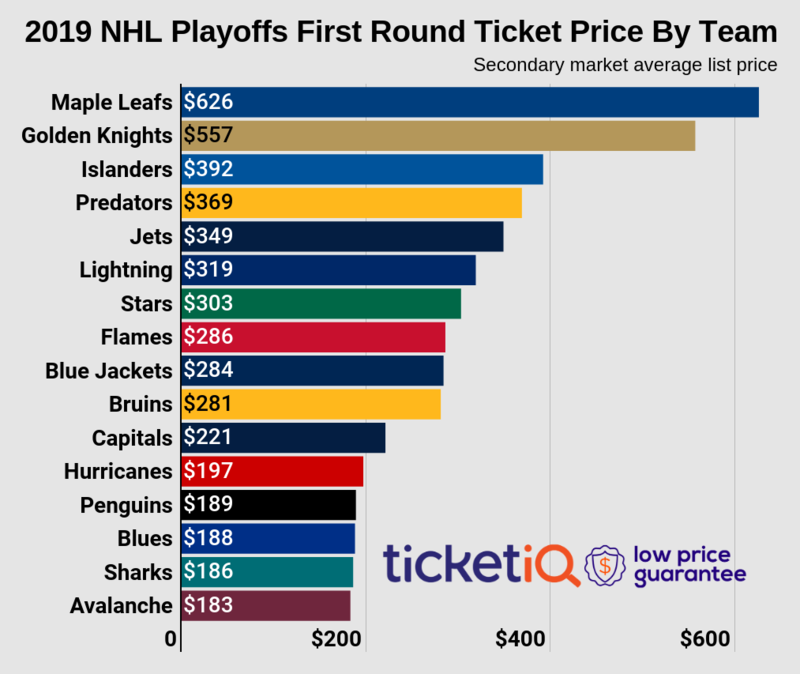 Rangers tickets on TicketIQ currently average $177 and the cheapest tickets start from $63 each against the Canucks, who are just 4-7-1 on the season.